Although Day of the Dead or Dia de los Muertos rituals in Guatemala and cities in Mexico such as Oaxaca City and Patzcuaro deservedly get lots of attention, it’s also possible to take part in authentic ceremonies for Day of the Dead in Puerto Escondido, Oaxaca, Mexico. Here are the main Day of the Dead traditions in Puerto Escondido and how you can participate in this unique and memorable cultural tradition. Although you won’t see Day of the Dead recognized to the same extent as in other places in Mexico, you will still be able to notice many Dia de Muertos elements around town such as altars or ofrendas built in private homes and cemeteries. Many of the hotels, BnB’s and apartments in Puerto Escondido will create altars in their lobby or on an outdoor terrace. Decorated with marigolds and other symbolic elements, these altars are meant to welcome the spirits of departed loved ones back to the realm of the living. 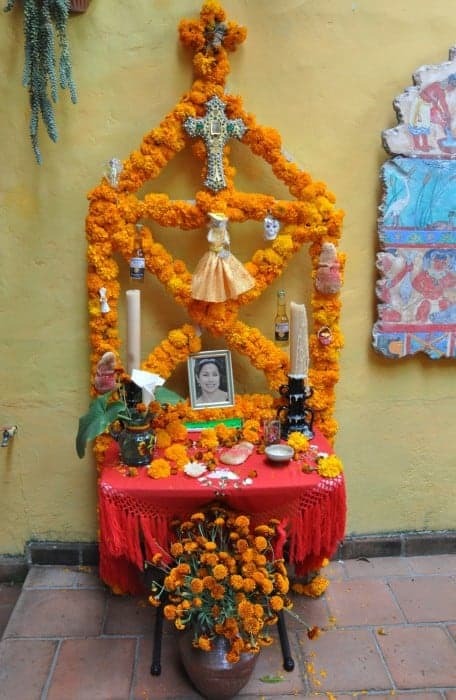 Check out our Top 10 Amazing Traditions in Mexico on Day of the Dead to learn more about how to decorate a home altar and the symbolism behind elements such as flowers, photographs of deceased loved ones, food offerings, candles and construction of the altars. In addition to shopping for sugar skull candies made of marzipan, you can also shop for pan de muerto (special anise-scented sweet bread) in stands set up in and around Mercado Benito Juárez and Parque Idilio. Pan de Muerto is most often enjoyed with a steaming mug of hot Oaxacan chocolate, pulque, a fermented agave drink or atole a thick warm beverage made of maize. 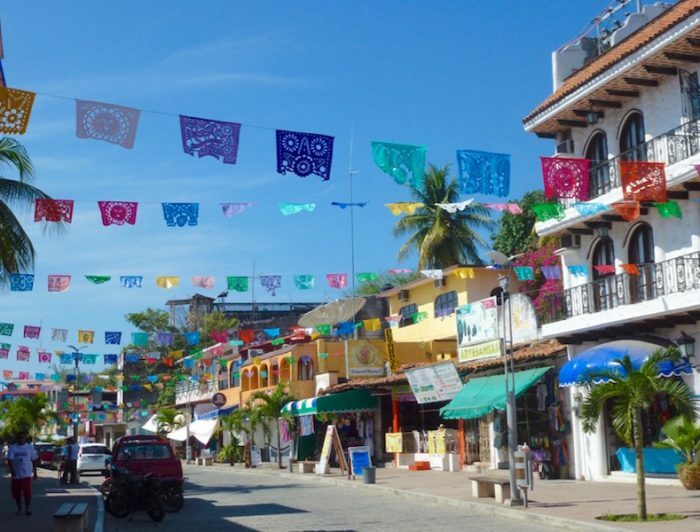 You’ll often see papel picado (pierced paper banners created by cutting out decorative patterns of birds, flowers and geometric shapes) blowing in the breeze above the streets of Puerto Escondido. Papel picado (most often made of plastic rather than paper) is regularly displayed within the pedestrian zone and night market on the Adoquin in Puerto Escondido, but you’ll see even more papel picado around Day of the Dead. A modern way to celebrate Día de los Muertos, is by applying skull face paint and hitting one of the nightclubs or beach clubs for a themed Day of the Dead party of music, food and dance. One of the most popular nightclubs for themed events and parties any time of the year is Playa Kabbalah on Zicatela Beach. 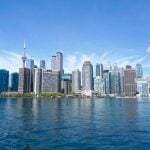 Live music, DJs, dance parties, VIP events, Ladies Nights, you’ll find it all at this and neighbouring clubs on Puerto’s party zone. If you’re in Puerto Escondido for November 2nd, it’s worthwhile to join culture-guru Gina Machorro on her guided Day of the Dead tour, an authentic ceremony remembering the lives of Puerto Escondido residents.During the walking tour, she’ll explain the history of Dia de Los Muertos as well as talk about the symbolism of flowers and the important annual ritual of cleaning the gravestones to welcome the return of the spirits of the departed and more. 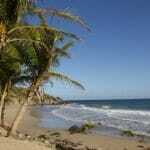 That’s not the end of our travel tips and things to do in Puerto Escondido, Oaxaca, Mexico! Read our Puerto Escondido Travel Guide for world travelers for more information on hotels, things to do, day trips and more in Puerto Escondido. So pretty! And what a deal! The tour sounds wonderful–wish I could be there! 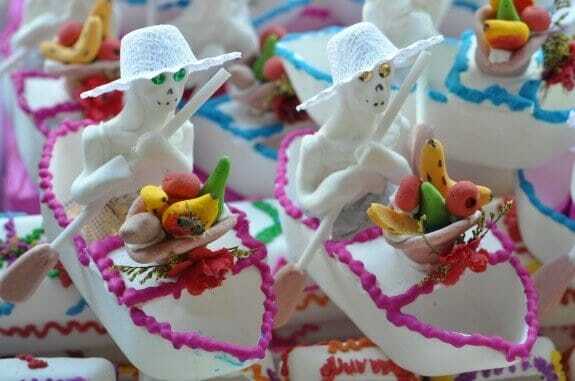 There is real artistry in those sugar skeleton boaters as well as the marigold-decked altar.